Efforts to the highlight the issue of ongoing human rights abuses in West Papua to European institutions took a significant step forward last week, as a coalition of international civil society groups testified at a special European Parliament hearing in Brussels this week. 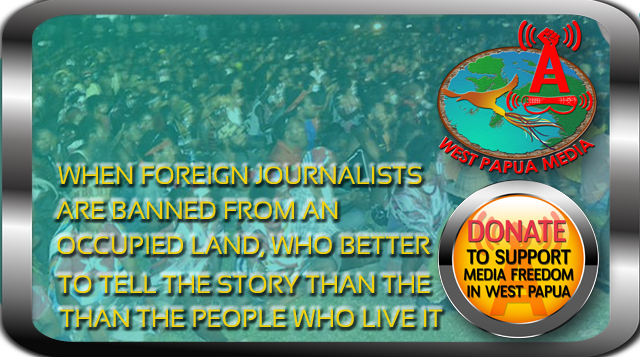 According to sources in Brussels, the Human Rights Subcommittee of the European Union Parliament in Brussels held a hearing on the situation in West Papua. The hearing was organised after a large number of international human rights NGOs sent letters to the committee outlining violations in the occupied territory. Outlining the precarious state of media freedom in West Papua, Victor Mambor from the Alliance of Independent Journalists (AJI) – Jayapura, presented the AJI findings on cases of violence against journalists in Papua, calling on the EU to ensure the protection of media freedom in Papua. According to the International Coalition for Papua, Members of the European Parliament stressed that the situation in West Papua had too long been ignored in discussions and called for closer involvement. Last week, the EU Parliament’s Foreign Affairs Committee adopted a report recommending the preparation of an EU- Indonesia Partnership and Cooperation Agreement. Member of the European Parliament Anamaria Gomes emphasized that this agreement should be the framework for the parliament to look further into the conditions in West Papua. Meanwhile in Papua, despite an ongoing threat of dispersal by Indonesian security forces, Papuan civil society groups successfully held peaceful manifestations in several centres across Papua over two days, calling on Indonesia to restrain itself, and for the European Union to take action on human rights abuses in Papua. In TImika, the colonial mining town downstream from the massive Freeport gold and copper mine, members of the KNPB and West Papua Regional Parliament held an impromptu photo exhibition of human rights violations in West Papua outside the Papuan parliament office. Prayers and speeches followed with discussion and support of the European Parliament meeting underway at the time. Unusually, no reports were received of any threats or intimidation from Indonesian or Freeport security forces, and the gathering dispersed peacefully. 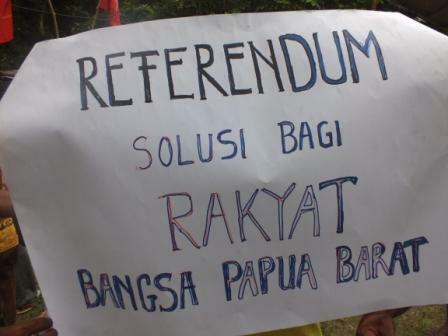 Papuan students successfully conducted peaceful rallies in Jayapura and Merauke on the 23rd of January, to highlight the subcommittee hearing. A small gathering of the Papua Student Movement (GEMPAR or “uproar” ) held the demonstration outside the front gate of Cenderawasih University (UNCEN ) in Jayapura. Students spread a large banner at the front door of UNCEN , which included some photos of human rights abuses by army / police against indigenous Papuans . Gempar organiser Alfa Rahmadodo said at the gathering, “we ask the International (community) to urge the Indonesian government to stop human rights abuses and suppression of democracy in Papua, and we support (the news that) European governments will discuss about human rights in Papua.” .